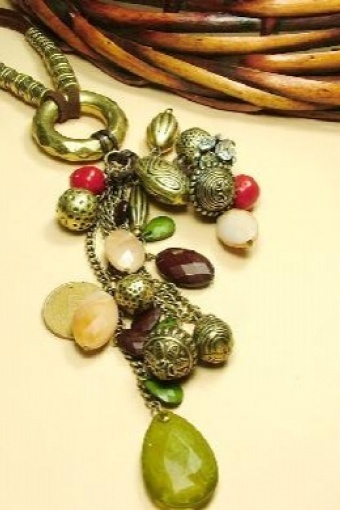 Bohemian Chique Leather & Beads necklace. 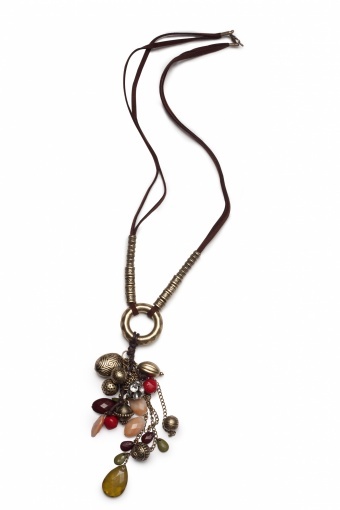 Very special long faux leather necklace with copper toned beads and a copper toned ring attached at the bottom. 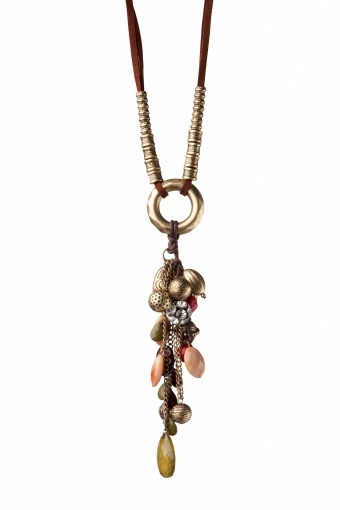 The ring is richly decorated with chains and beads in various stylish colours. A real must-have for your summer wardrobe!